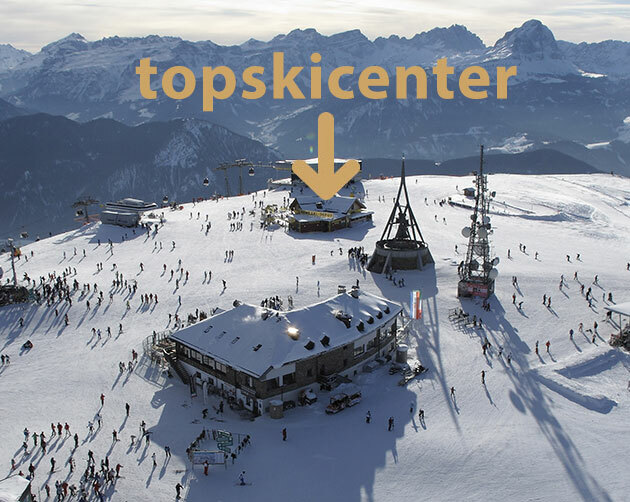 ...Your Chartering and Ski Storage on the top of the Kronplatz! Opening times: 7 days from 08:30 until the last descent. SKI AND SNOWBOARD RENTAL IN PLAN DE CORONES In our ski rental you will find everything you need: from the right ski equipment to dry, disinfected, as well as warm ski boots ready to wear and then ... let’s go skiing! After a great day on the snow you can leave everything in our ski depot, change the shoes and return to the valley by cable car, without effort and risk of the last downhill. For ski hire you can choose between different levels of quality. The typical beginner ski with low budget. This ski has a simple structure, typical of the All Rounder Ski. Fun for those who start or resume after a bit of time. These models forgive the imperfections, very easy to handle for high comfort on the descent. Advanced Skier are also excellent skiing as All Rounder. Enjoy an unforgettable entertainment with high quality skiing. Regardless of the style and the speed of descent, this ski ensure a balanced effort. Perfect for lovers of winter sports.